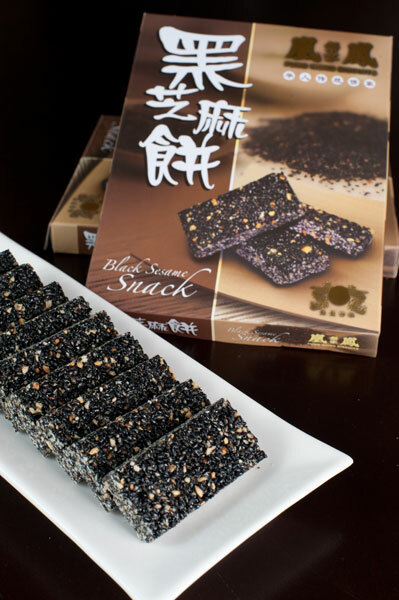 Description: Crispy cracker made out of fragrantly roasted black sesame and coated in malt sugar. Ingredient: Black sesame seeds, sugar, maltose, vinegar, wheat flour, cake flour, vegetable oil, eggs, sesame oil, five-spice powder. © 2019 Fung Wong. All rights reserved.